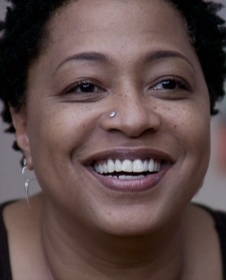 Ms. Lisa Fischer and her band Grand Baton first set out on tour in 2014, with no product to sell, no recordings or video to help book or promote shows, no t-shirts. Despite all that, based on Lisa’s reputation alone, they were invited to play in clubs, at the Newport and Monterey Jazz Festivals, and at concert halls all over the globe, winning accolades from critics, devotion from fans, and — always — invitations to return, soon. Their music is an organic gumbo of progressive rock, psychedelic soul, and African, Middle Eastern, Caribbean rhythms and classical influences. In performance, they re-invent songs by Led Zeppelin, Amy Grant, Little Willie John and The Rolling Stones as well as Lisa’s originals. After decades bringing raw soul to the stage for The Rolling Stones, Sting, Tina Turner and Nine Inch Nails, Lisa is emerging as the most inventive and heartfelt interpreter of classic rock songs working today. Now Lisa is exploring new territory. She is featured on new projects by Lang Lang, Yo-Yo Ma, Billy Childs, and recently collaborated with the Alonzo LINES Ballet.